You want to trim dogs nails regularly and frequently to ensure they are walking properly. Failure to do so will mean they don’t walk correctly and it can cause long term bone, joint, ligament, and muscle problems. 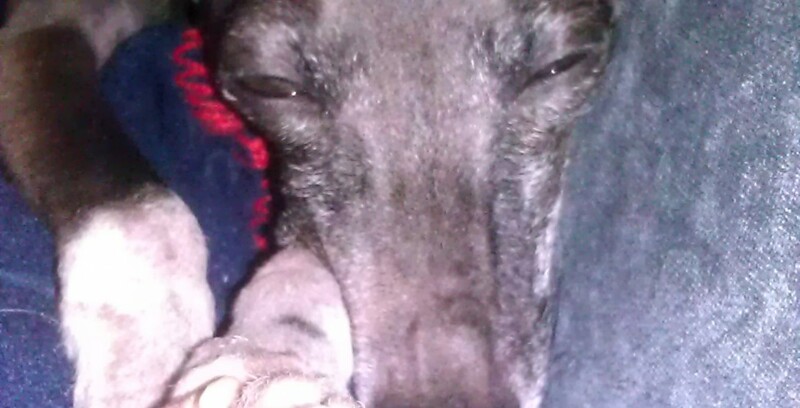 Italian Greyhounds usually have white/clear nails so seeing the kwik makes trimming their nails easier! I personally trim our dogs nails and although they aren’t excited to have it done, they don’t mind anymore (and like how it feels to have short nails). Any dog nail trimmers will do and have something to stop bleeding in the event you cut the kwik (like the special powder that often comes with nail trimmers, flour, corn starch or anything similar). A high reward treat is good to have on hand as well. I like to error on the side of caution so I use a light when deciding where to trim their nails. I turn on a flashlight, place it in a drawer in the kitchen, please my pup on the counter, hold their foot over the light and trim accordingly. This excerpt was written by Stephanie Day, thank you for the great and thorough tips on how to trim dogs nails! Most puppies and even adult dogs have a hard time holding still in order for the dogs nail trimming to be a success. Sometimes it is possible to distract a fearful dog or excited puppy with a really tasty treat like hot dog pieces, peanut butter, baby food, or cooked chicken. It is preferable that your pet will eat during the nail trim in order to prevent or lessen an overly fearful reaction should you accidentally get too close to or cut the vein, which is painful for your pet. The food alone may not work at first if your pet is already overly fearful about feet handling. Dogs that are overly fearful about their feet may become vocal or aggressive when you trim dogs nails. They may pant heavily, struggle to get away, or freeze in fear with huge dilated pupils. There is a lot you can do to decrease your pets fear to a manageable level or get rid of the fear altogether. Treats that are tiny (the size of a raisin), can be eaten quickly (in 1/2 second), and are extremely tasty (like meat or cheese). Your pet must remain relaxed and happy throughout this entire process. It is your job to carefully monitor your pet for signs of conflict and stress such as dilated pupils, panting, backing up or trying to get away from you, whining, aggression, lip licking, looking away etc. If you see my of these signs, do not click & treat. Instead immediately go backward to a step that does not elicit stress, a step where your pet does not exhibit any of these conflict behaviors. If you are using valuable food you should see a distinct change in your pats body language- ears should be up, tongue and tail relaxed, and your pet should be taking the food eagerly! This is very important! Help your pet make a positive association with the sight of those nail trimmers. Prop them up in front of the food dish while he eats, hold them as the same hand that you use to give the treat when you click and treat (C/T.) Hold the trimmers in your hand when you do fun things with your pet, like during playtime or click and treat (C/T) obedience sessions. Change the association from “trimmers = pain + fear” to “trimmers = hotdogs.” Remember to find a non-stressful starting point. If your pup gets agitated when you walk to the place where the trimmers are kept then that is where you have to start changing the association. This means walk over to the place and C/T a sit without even reaching for or taking out the trimmers. Click and treat (C/T) your pet for remaining in an sit or down position as you begin to work on the following steps. Mix the steps up so it doesn’t just get harder and more stressful for the pet! Do a lot of easy stuff, one hard thing, then more easy stuff. Your pet’s body language determines what steps are hard or easy. Do his pupils get big, or does he cower away at the sight of the dog nail trimmers? If yes, then you can’t go past that step until the sight of those trimmers causes your pet to sit, with ears up, staring up you expectantly for his click and treat. The owner handling feet etc, with no trimmers in sight- from holding/touching a non-scary body part (under the chin) to owner holding foot firmly. If your pet is wiggling, try progressing through the steps more slowly, and only C/T when the pet is perfectly still. Don’t progress to the next step until your pet has mastered being still for the precious step. Use more valuable rewards for the harder, scarier steps. Remember, harder is judged from your pets point of view. If your pet is unfazed by the sight of the dog nail trimmers maybe he only gets a click and a place of kibble for sitting for that step. He should get a click and a piece of meat for successfully doing a step that is harder for him, like being touched with the trimmers. 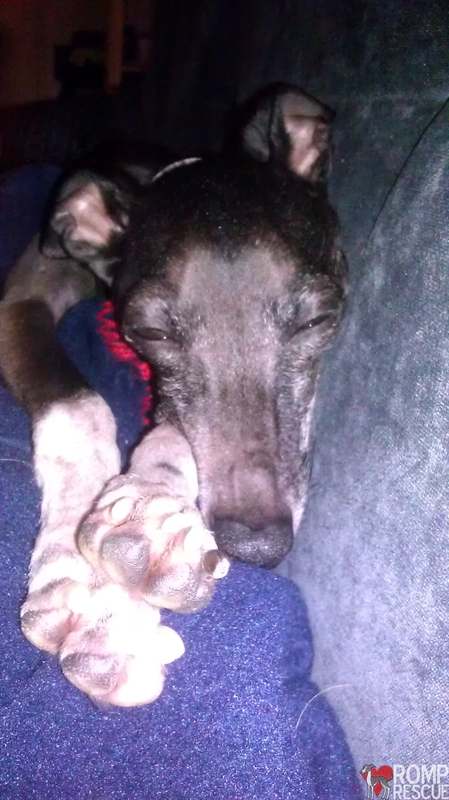 How valuable a reward is should also be determined by your pets body language. They should have to do more work to get the treat that really makes their ears come up and their eyes sparkle. The reward is not valuable if your pet sniffs it, turns their nose away and leaves it behind. Helpful Hint: The use of a properly fitted gentle leader and/or Thundershirt during this process may lower your pet’s anxiety or wiggliness and help the dogs nail trimming process to go faster. It is not recommended that you proceed with this process on your own if your safety is in jeopardy. If this is the case, please ask for assistance so this process can be done under the close observation of a behavior specialist who may help you take extra measures to assure your safety. 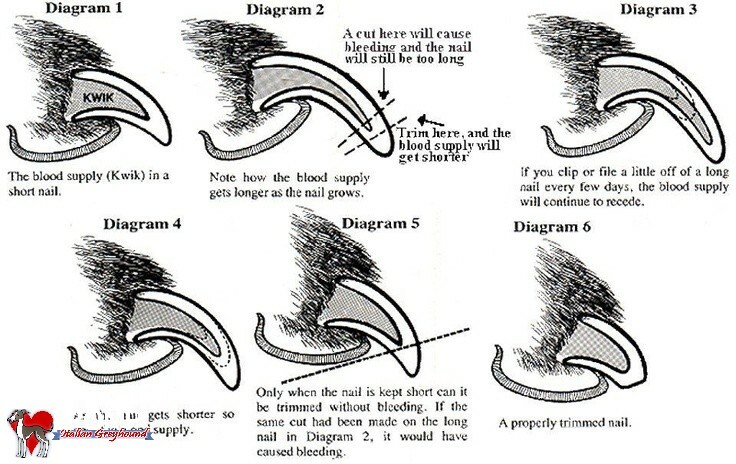 This entry was posted in About IGs, ALL, Tips and tagged cut, cut dog nails, cut dogs nails, diy, dog nails, dogs nail trimming, dogs nails, dogs nails trimmed, how to, how to trim dogs nails, how to trim my dogs nails, how to trim your dogs nails, nail trimming for dogs, nails dog, trim, trim dog nails, trim dogs nails, trimming. Bookmark the permalink.